Paris, Oct 27 (IANS) Star shuttler P.V. 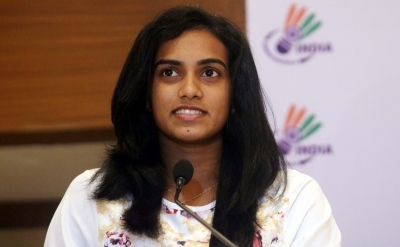 Sindhu entered the women’s singles semi-finals of the $325,000 French Open World Superseries after beating China’s Chen Yufei in straight games here on Friday. Second seed Sindhu eased past the Chinese rising star 21-14, 21-14 in the quarter-final match that lasted for 41 minutes. It turned out to be a sweet revenge for the Indian star, who crashed out of last week’s Denmark Open after losing to Chen in the opening round.